The 2018/19 Champions League kicks off on Tuesday and already on Matchday 1 of the group stage there are some cracking encounters. 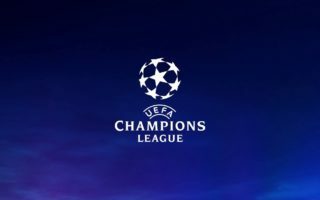 Below is coverage of the most interesting games and our Champions League match day 1 predictions pick up where we left off last season – by winning more than we lose. 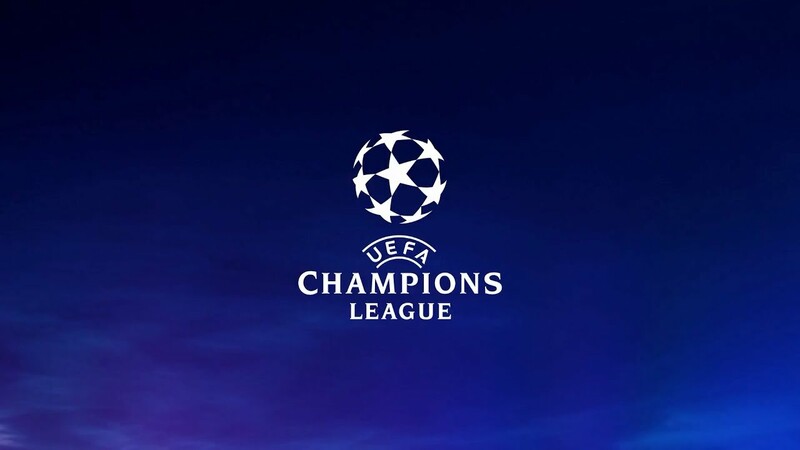 Check out the free betting tips we give out in our match previews for Champions League games this Tuesday and Wednesday. The Turin giants kick off their cup run away at the Mestailla. Tricky match this one as the first always is. Their secret weapon to dismantling Valencia is their main man Cristiano Ronaldo who has often given Valencia an incredibly hard time scoring 12 goals during his tenure at Real Madrid. Valencia are Ronaldo’s 5th favourite opponent of all time. Juventus has specifically built a squad for Champions league and their ambition is to win it. Stocking up on players like Douglas Costa, Dybala, Mandzukic, Cuadrado and Cristiano Ronaldo upfront, look for the bianoneri to impress with their goal tally this season. Juventus come into this game fresh off beating Sassuolo at the weekend and no injury woes are envisaged coming into this game. It is expected that Allegri will field a 4-3-3 formation with Scecszsny, Alex Sandro, Chiellini, Bonucci, Cancelo, Matuidi, Pjanic, Khedira, Ronaldo, Mandzukic, Douglas Costa. With big names like Dybala, Cuadrado and Emre Can gunning to come in off the bench. Meanwhile Valencia at the weekend were involved in a 0-0 stalemate at home with Real Betis (who deserved to win). They did not display their best football and this leaves a side like Juve ready to pounce. Valencia are expected to field their classic 4-4-2 formation with Neto in goal, Jose Gaya, Paulista, Garay and Piccini, Wass, Kondogbia, Dani Parejo, Carlos Soler, Santi Mina and Rodrigo Moreno. These two teams have never met in their history therefore not much to look back upon here. Juventus are the stronger side and are expected to win this one. The bookies agree. Yet another meeting between these two teams brings us to this edition of the Champions league for this season. Real Madrid and Roma has become a classic match up in the top European competition with 5 meetings in 15 years. The most recent meeting in 2016 saw Real Madrid as easy winners in a Quarter final elimination round. That time though, Cristiano Ronaldo dominated the games for Real Madrid in a winning year. Real Madrid and Roma are both coming off an undesirable weekend result with both teams drawing their respective matches. A 1-1 against Atletico Bilbao for Real in a tense and rough match up and a 2-2 comeback draw for Chievo against Roma after Roma were 2-0 up in the first half. To pile up the problems for Roma are a long list of injuries and uncertainties and they are yet to find their true character. The names on the doubtful list are Florenzi, Shick, Pastore and Perrotti. Real are almost clear on this aspect. Real Madrid are therefore expected to field their strongest 4-3-3 with Curtois, Marcelo, Varane, Ramos, Carvajal, Modric, Kroos, Casemiro, Bale, Asensio and Benzema. Roma on the other hand may have to reinvent the wheel with a makeshift 4-3-3 with Olsen, Florenzi, Manolas, Fazio, Kolarov, Pellegrini, Nzonzi, Cristante, Under, Dzeko, El Sharaawy (or Kluivert). The Bernabeu has not been kind to Roma either in the history of these match ups. Only 2 wins from 8 games. Real Madrid are strong in their home and in this competition they reign supreme. Look for a physical game with the possibility of this conditioning the game. Napoli start this competition coming off a good 1-0 win at home against a tough cookie in Fiorentina. They come back into the Champions league after leaving a losing records behind last season. On the other hand, the home side Crvena Zvezda are the first Serb side in the Champions league to come through all rounds unbeaten with clean sheets. That is an impressive feat by any standards. This could possibly be the easiest match on paper for Napoli but don’t take your eyes off the Serbs for one second as they may be the smallest name in the group but they are a tough cookie. Napoli also haven’t enjoyed much defensive security with them bagging goals from each Champions league game in the last 2 seasons. Look out for Crvena’s Nabouhane who has a great scoring record at home. The Belgrade side will be showing their best in front of their impressive home fans. The Stadion Rajko Mitić is known for their unwelcoming stance and intimidation of away teams with roars and synchronised drums. This may well put Napoli off their stride. European giants Barcelona will be looking to get off to a good start to their group stage matches on Tuesday against Dutch outfit PSV Eindhoven. PSV are back in the Champions league after a few years of absence. The last time these two met in a group stage match was 1997 so not much history to look at here. Look for Barca to annihilate their opponents with Lionel Messi and Luis Suarez at their best in this competition. Barca have no injury worries and will likely field their deadly 4-3-3 with Dembele, Suarez and Messi upfront. BSC Young Boys Bern will host Jose Mourinho’s Manchester United in their first Group H fixture this Wednesday. The two sides have never faced each other in a UEFA competition before. Young Boys are hardly a household name but it would be foolish for Manchester United to underestimate their lesser known opponents. Young Boys will be greatly motivated for this clash against their illustrious opponents. The home side ran away with the Swiss Super League last season. They have also kicked off this season winning all matches and more importantly managing to score 3 or more goals in every fixture so far. Manchester United’s form has been noticeably different. After opening their Premier League campaign with a victory over Leicester, United lost two matches. Mourinho has managed to somewhat steady the ship with his men returning to winning ways. This fixture marks the start of an important Champions League campaign for the Portuguese manager who is bidding to win the Champions League for a 3rd time. United brought in Mourinho to restore them to Europe’s top table, and despite the board not cooperating with Mourinho during the transfer season, there will be little empathy upstairs if United do not mount a serious challenge. Luke Shaw is back in contention for a return to United’s starting line-up. Dalot may also make his debut in what should be a winnable fixture for the Red Devils. We are tipping Manchester United to take all 3 points at Stade de Suisse come Wednesday. English Champions Manchester City welcome Lyon to the Etihad. This is the first time these two sides will face off in a UEFA competition. City will look to put away the painful memories of last years’ Champions League elimination at the hands of Liverpool. Success in Europe’s premier club competition remains the holy grail for Manchester City’s owners. They believe Pep Guardiola is the perfect man to do that. Last year’s poor performance in their first leg against Liverpool may have been their undoing. Pep has vowed to make up for the disappointment and bring home the Champions League. City are sweating on the fitness of both Mendy and Aguero, whilst Leroy Sane should be back in contention to start after scoring at the weekend. Guardiola is unlikely to risk the fitness of is stars given the hectic fixture list which City have coming up in the next couple of weeks culminating in a 6 point clash with Liverpool on October 7. City have been in great form so far this season grabbing 5 wins in 6 matches across all competitions. Lyon have had a rocky start to their Ligue 1 season managing just 2 wins in their first 5 matches. Their patchy form has seen them fall 8 points behind PSG so early in the season already. They head into this fixture knowing that they face a mammoth task. We are tipping City to romp home to victory. The leaders of the Primeira Liga and the Bundesliga go head to head on Wednesday night in Group E of the Champions League. Last season Benfica finished the Group Stage in 4th place, part of a torrid season which saw them pipped to the title by Porto. The Portuguese side head into this fixture knowing that they have never managed to been Bayern Munich in their last 6 encounters. The Eagles have managed to win 10 out of 12 points in the league so far and will hope to carry their domestic form into Europe. Bayern Munich kick off life in Europe under Niko Kovac. Hoping for some success after making it to the last 4 of the competition last season getting eliminated by eventual winners Real Madrid. One of Bayern’s stars, James, first burst on to the footballing scene in the Portuguese Primeira League with Benfica’s rivals Porto. He came off the bench at the weekend to score and seal Bayern’s victory over Bayern Leverkusen. He will be relishing the prospect of playing against his former rivals. Both teams are on an unbeaten run in their domestic campaigns but we are tipping Bayern to have the edge and take all three points at the Estadio da Luz. This fixture represents a clash between two teams who actually have a lot in common. This match is not just another group game match, with little more at stake than three points. For both these sides this match is much much more. For Jurgen Klopp and his team they will need to live up to last season’s fantastic run. This saw them reaching the final only to be beaten by Cristiano Ronaldo’s Real Madrid. This match represents a chance to show that they are serious contenders, able to compete with the big spenders of the modern game. PSG’s big spending has redefined the modern game forcing other clubs to find ways to compete or drown. Their big spending has seen them dominate the domestic scene but they have not managed to replicate that success on the continent. The French champions desperately want to emulate the likes of Real Madrid and Barcelona and show that there is some substance to their project. We are tipping Liverpool to edge this encounter and take all 3 points at Anfield. Historically the gulf between these two teams is huge. Inter have a trophy laden history and have been successful both domestically and in Europe. Tottenham’s history is one of mediocrity and often struggling to remain in the top tier of English football. More recent histories of both these clubs has somewhat converged. Inter’s last few years have been spent living in Juventus’ shadow as they try to re-invent the club and rejuvenate their squad. A change in ownership has done nothing to improve their fortunes. Tottenham have, in recent seasons, closely challenged for Premier League glory though they have fallen short on each occasion. Inter have only managed to chalk up 4 points in their first 4 games. Spurs are fairing slightly better having amassed 10 points out of a possible 15 although they are already 6 points adrift of leaders and cross-town rivals Chelsea. Despite their improvement in recent years Tottenham risk being forgotten by history if they can not graduate from also rans to actual winners. This fixture represents a chance for Tottenham to prove to themselves they have come of age and is the perfect chance for them to begin to come of age and etch their name into history. A loss will continue to confirm they just don’t have the mettle to compete with the big boys. We are tipping Spurs to win this encounter and take all 3 points at the Giuseppe Meazza. Bonus: Harry Kane to score anytime.